The iPhone and it's apps always seem to be discussed on the web. I don't use an iPhone, and most of my colleagues and students don't have them either. There are plenty of Blackberry's, T-Mobile G1's and Palm smartphones around though. Since I use Palm phones, I decided to showcase some applications on Palm phones that are useful in education. Palm's two new phones are the Palm Pre and Palm Pixi, which both run on Palm's new operating system, WebOS. One of the unique features about WebOS is the ability to multi-task using cards (similar to windows on a PC). While WebOS only has about 700 apps and another 350 homebrew (unofficial) apps, there is one application that is very useful. Classic allows WebOS phones to use most of the 20,000 PalmOS apps that exist. PalmOS was Palm's older operating system that ran on the popular Palm Centro and Treo smartphones. There are millions of Centro's and Treo's out there and Palm's PDA's (TX, LifeDrive, and others) and there were tons of educational applications and lesson plans written for Palm devices. Basic Applications: contacts, email, web browser, text messaging, camera, phone, tasks, media players, note taking, and lots more, including Evernote, Twitter, Facebook and Google. Homebrew apps for WebOS - over 300 including conversion calculators, organizing tools, and periodic table. WebOS has hundreds of applications, many useful for education. Every week, more and more applications arrive in the app catalog, so there is always something new to check out. The web browser in WebOS is excellent, rendering web pages like you were on a desktop computer. This allows teachers and students to access all of the great web pages and web based applications that exist for education. Adobe is also bringing Flash to WebOS soon so Palm Pre and Pixi owners will have the ability to see Flash content right on their device. K12 Handhelds - site has listings of Palm OS software for education, organized by category. The site also has ideas on how to use Palm OS devices in education. Inspiration for Palm OS - graphic organizer and visual planner. Gradekeeper - electronic grade book. Sync's to desktop. Applications for Palm OS range from calculators, conversions, periodic tables, study tools, flash card tools, quizzes, student organizers, teacher tools, language translators and much, much more. Many of the PalmOS applications also have desktop counterparts (like Gradekeeper) and you can sync your handheld's information to the desktop. This acts as both a backup and it is easier to view and edit information on a desktop vs. a handheld. This is only a small sampling of the thousands of applications available for WebOS and PalmOS. 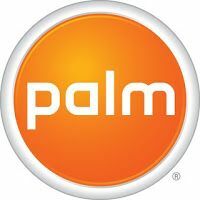 So you can see that Palm and WebOS have lots of applications that can be used in the classroom or for educational purposes. Android (Google's mobile phone application) and Blackberry do too. I don't believe in schools requiring students to use any one product or software type because it becomes a defacto endorsement of the product and limits student choice. Instead, I think schools should use platform-independent tools (web based) or have lessons that allow student choice in which applications they use for class work. Smartphones are a great educational tool. They are mini computers with the ability to do almost anything a student needs to do - write a paper, web research, graphing calculators, and much more. Schools shouldn't be outlawing cell phones and smartphones, they should be figuring out how to leverage them as learning tools.